Mon June 22nd 2009: I have updated it since the ACL were not 100% correct. 1. 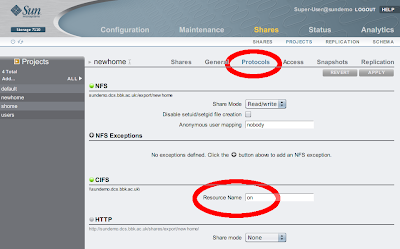 Create a new project, so that you don't change the default setting and enable the CIFS protocol, NFS is enabled by default. 2. 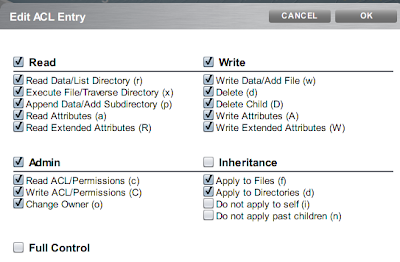 If you want ACL/permissions to be inherited correctly then you need to alter the "Inherited ACL Behavior", which is the ZFS command "zfs set aclinherit=passthrough rpool/ROOT/b114b" for reference. 3. 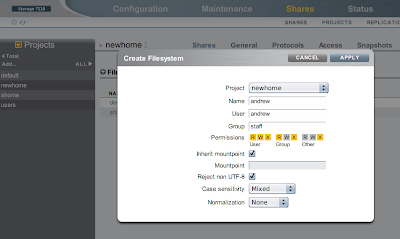 Create a share with all the relevant information, name, uid, group and permissions. 4. 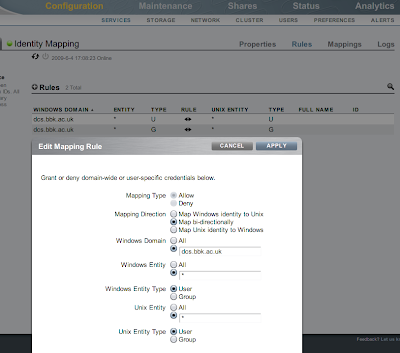 Need to set up mapping between our Solaris LDAP server and Windows AD system. 5. 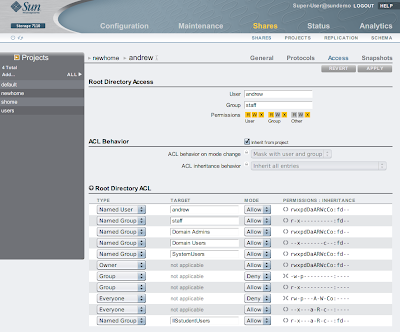 It is a straight mapping of LDAP <=> AD for users and groups. 6. 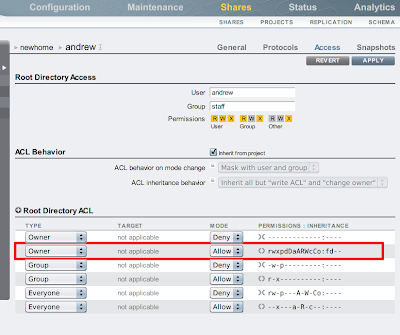 Next edit Access ACL for the new share. I think the "Owner" should have full control. 7. Here is a full description of the letters and what they represent in windows. 8. And the final product after a few global ACL's have been added. 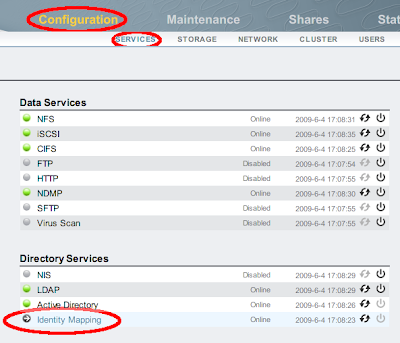 Plus the owner of the directory should be added as well. 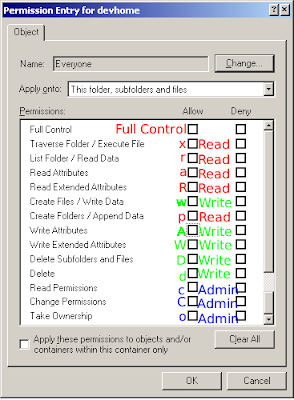 This is because if Windows Admin creates a file then you want the owner still to have access.